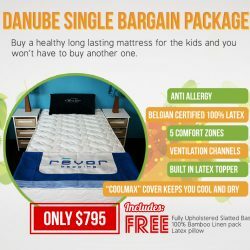 PROMO: 2x Free latex pillows worth $190 until 30th of April only. Highly ventilated “cool” 100% Belgian latex from the largest, oldest and most awarded latex factory in the world. 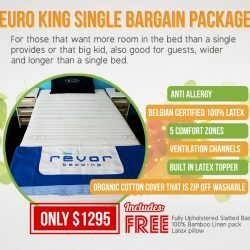 The Revor Euro mattress features a 100% latex core in medium firm feel with a soft latex topper to give you that plush luxurious feeling without reducing any support. 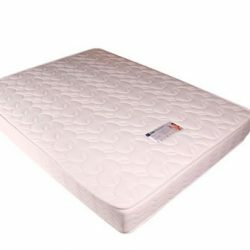 For those who prefer a firmer feel, the mattress can be flipped and slept on the firmer side without the topper. 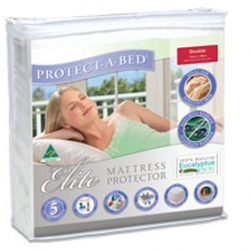 The Euro mattress has 5 sleeping zones. Each zone is catered to different areas of the body allowing the spine to rest naturally in any sleeping position. 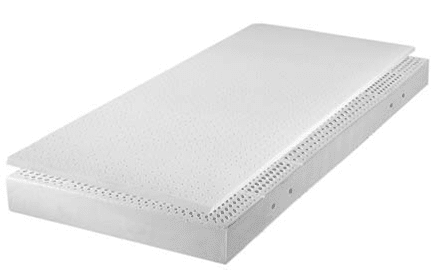 The latex core has ventilation holes on all its surfaces: top, bottom and sides. 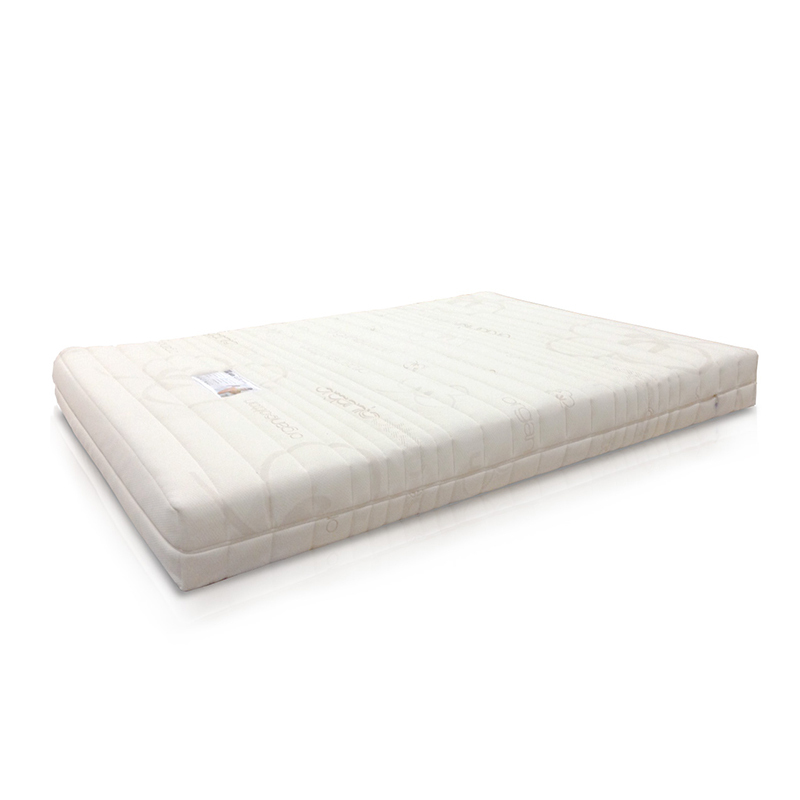 Combined with an open cell construction, the mattress is free to breathe, keeping you comfortably cool and dry. Additionally, the Euro has a zip-off washable and pure cotton cover which is eco-friendly, strong, durable but soft which breathes and wicks moisture away. 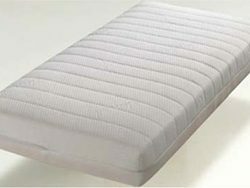 To top it off, its organic cotton cover is especially good for people who suffer from respiratory problem.